Next year sees the opening of Design Society in Shenzhen. An initiative from China Merchants Group, this ‘cultural hub’ was designed by Japanese architect Fumihiko Maki. Ole Bouman, former director of the Netherlands Architecture Institute and editor-in-chief of Archis/Volume, is responsible for the programme and international profile of Design Society. Harry den Hartog spoke to him about the museum, new ways of working, and the new designer. Harry den Hartog: China has undergone rapid economic development, and now promises to make up a lot of ground in terms of culture, an area of heavy investment. Where did the idea for this museum arise? And since when have you been involved? Ole Bouman: The founder, China Merchants, had toyed with the idea of a big museum for years. I was brought in to develop the museum programme. My contribution to the 2014 Bi-City Biennale of Urbanism and Architecture (UABB) in Shenzhen attracted attention, and it led to an invitation to set up and define this new museum. Shekou district, home to more than 800,000 inhabitants, had always been a Special Economic Zone, and it was recently designated a Free Trade Zone. A lot will happen here over the coming years. Shekou will become a very important place. It always was in terms of industry, but now it has to prepare for the growth of its tertiary and quaternary sectors. Huge sums are currently being invested in culture here in Shenzhen. A number of museums are in the works, among them a planning and art museum. That planning and art museum, isn’t that just like all the other planning museums in every Chinese city, displaying development projects to impress potential investors? I’m not entirely sure about the policy behind this planning and design museum, but it will certainly be very big. The building is by Coop Himmelb(l)au. All attention now focuses on the building itself, while the contents are as yet unknown, except that it will contain two parts: visual art and planning. Do you already know what Design Society will present? Consensus on the ambitions for this museum is fully in line with what I’ve already done, namely linking design to the pressing questions of our times. That’s also the explicit idea of those who initiated this museum. 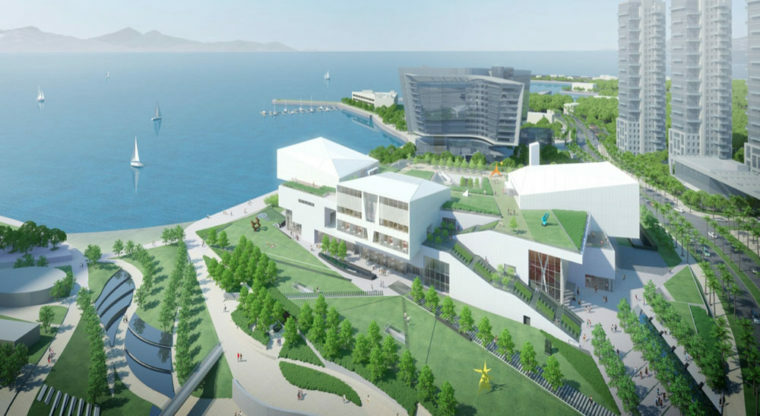 Shekou will act as a pioneering district for experimental museums. To that end, we’re working with two other museums. Guanfu Museum from Beijing will show special collection items of pre-modern design, compiled by the private collector Ma Weidu, and the Victoria & Albert Museum from London will show how it adapts its collection formula to conditions in Shenzhen. In addition, we will expressly focus on visions of the future, involving a broad recognition of the role of designers in the modernisation of China. A modernisation that concerns intelligent cities and intelligent economy, sustainability and technology, and sustainability and policy. A modernisation that concerns mobility, the interior, housing typologies. Essentially, it’s about finding the right forms and right ways to improve the living environment. 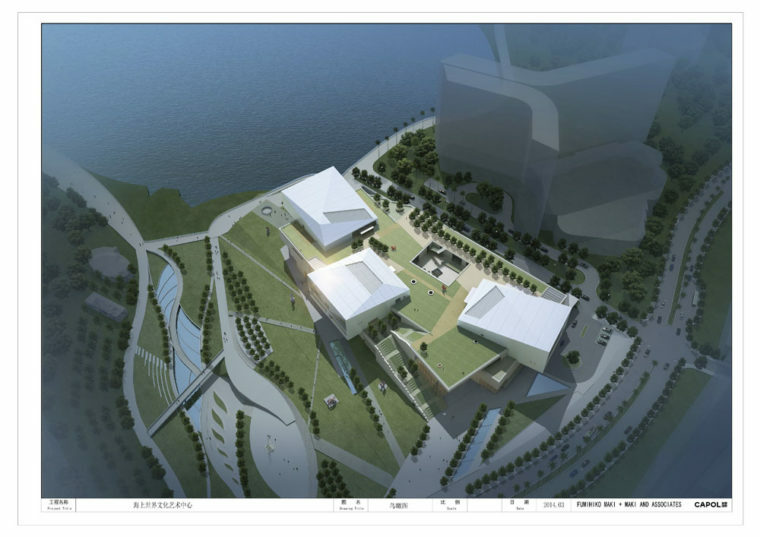 Will the museum focus specifically on the Shenzhen region? And will it be part of future biennales? Design Society has a clearly Chinese agenda, but an international approach. As far as the biennale is concerned, that pursues a totally different philosophy. The biennale acts as an urban catalyst, so it obviously makes sense to hold it in a different part of the city on each occasion. It doesn’t always have to be in Shekou. But all options are open. Were you involved in selecting the architect of the building that will house Design Society? No. 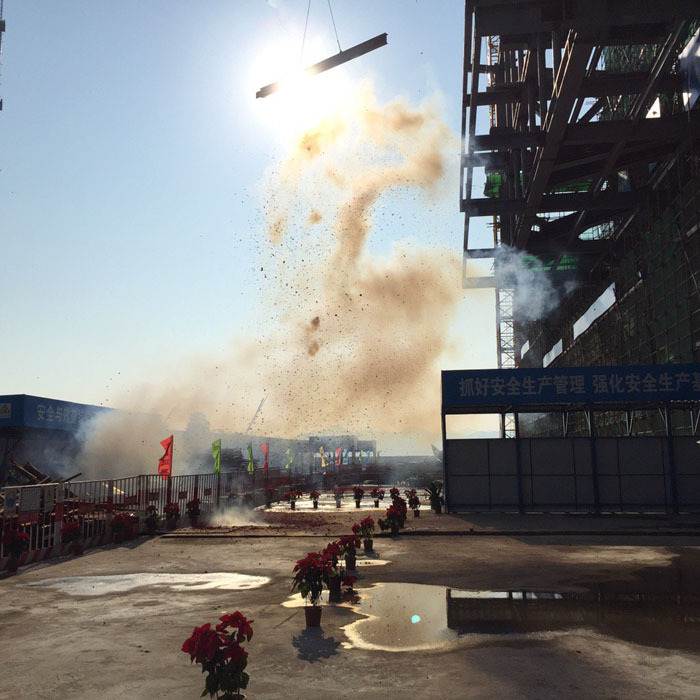 That happened much earlier and was supervised by the developer, China Merchants Group. It’s Maki’s first design in China. The building is embedded into the landscape, with a park folding over it. The highest point of construction has already been reached. My task is to give this remarkable building its cultural identity. So Maki designed this building before the programme had been defined, as is customary in China. Isn’t that difficult when it comes to defining the programme? Have there been any changes to the building design as a result of the development of the programme? To some extent, but no columns have been repositioned. Most adjustments concern the programme itself. A lot is still possible, but we must treat Maki’s design with integrity. That means we must know precisely what we want, so design work will continue until the opening. 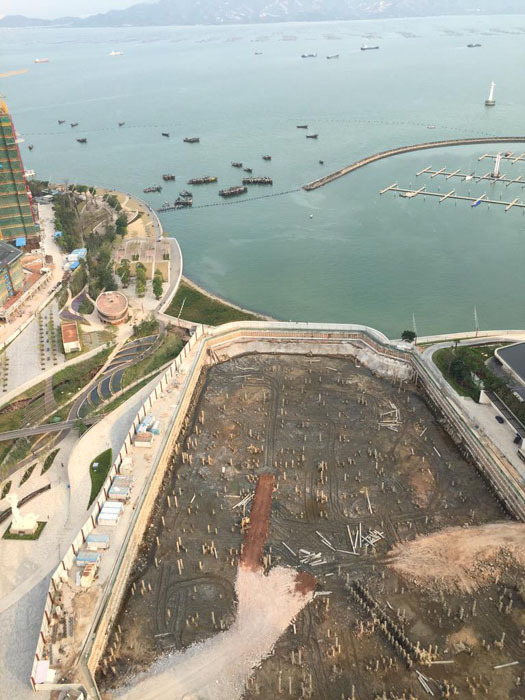 You’ve now been living in Shekou for over a year. Why did you move to China? OB: For a number of reasons, particularly the intensity of this job. I couldn’t do it from a distance. It was actually the same with the biennale. With such a specific role as urban catalyst, you really have to be on the spot in order to cultivate things. In the past you had iconic buildings, by iconic architects and iconic curators. You made a statement and that was that. Such an approach is impossible here and now. Design Society is not only a museum but also a place for events. So I have to train people to make a long-term programme. You can’t just come up with suggestions. You have to nurture international relations and reach out to governments. It’s about forging new alliances, and that involves a hands-on approach here. The energy in Shenzhen is immense. The city has already proven its dynamism. It would be really great it could now consolidate what it has built up over the past thirty-five years, by maturing and enhancing its qualities. It seems that the energy today is greater than ever before. Shenzhen is a young and dynamic city where countless ideas and fusions occur. 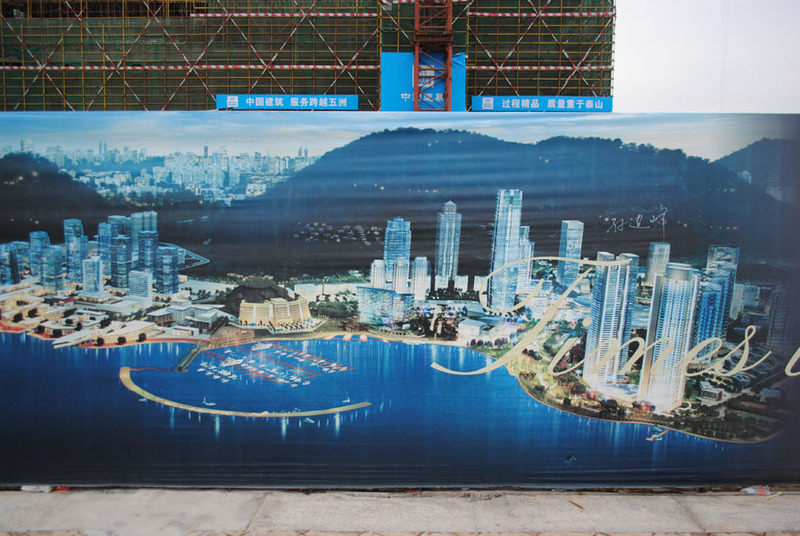 What makes Shenzhen such an experimental place is that its identity has yet to crystallize. A city of newcomers, with thousands arriving every day. You forge this new identity together with other people. This city is exactly what the European city has been for a thousand years: an emancipation machine. The traditional idea of a city, a place that offers people more freedom than they had living in rural areas, a place where more is possible. A place with networks, where there are surprises, where curiosity is welcome, where no conventions exist. A city that exclaims: “You can make something of your life here.” That’s the best quality of the city. In the Netherlands we have a so-called creative sector. And as the word ‘sector’ implies, you either belong or you don’t. Here in Shenzhen it’s totally irrelevant whether you belong or not. People here have a much more open attitude and mindset. Networks, institutes and money flows here are much more fluid, and more combinations are possible. Thinking in terms of sectors doesn’t exist here. I for one don’t miss it much. So for me, Shenzhen is the perfect place to explore the real potential of architecture, design and culture. Not as a sector agenda at best or a leisure activity at worst. What happened to the venue of the previous biennale, of which you were also the curator? Was that ever considered as the accommodation for Design Society? That site also belongs to China Merchants Group, although it’s another division of the company. In view of museum’s role in an urban development, it was more obvious to opt for a new building. The 2014 biennale was a starting position. Naturally we hoped the programme would be continued, but the curators of the most recent biennale chose otherwise. They wanted a location of their own, the upshot of which was a decline in the programme at the Value Factory. One achievement, however, is that everybody now agrees that the complex should be preserved. The complex is now recognized in the collective consciousness as a remarkable monument. However, connecting with the urban context will take more time. The Victoria & Albert Museum is also playing an important role in the establishment of Design Society. That is indeed an institutional relation. The V&A is a monumental museum with a monumental collection and a monumental reputation. But those are not the starting principles of Design Society here in Shenzhen. The interesting thing about the V&A is that it continues to develop with a range of new storylines, leading to interesting collaborations and fresh impetus. A totally new market situation is emerging in China, certainly in Shanghai where I live, and in most other cities. It’s a difficult market, with waves of redundancies and changing order portfolios. Is the dynamic also changing here in Shenzhen? I think there’s big difference between Beijing, Shanghai and Shenzhen. More is possible here in Shenzhen because of the younger population. But I also hear worrying messages from Beijing and Shanghai. In my view, it’s now so much more important to have a distinctive identity. What do you stand for as an office? That’s the fundamental question. The whole idea of ‘office’ is also untenable, as is the the acquisition of work. The phenomenon of the commission is unravelling in the same way as the phenomenon of the design office, the discipline, education. That whole sequence in which everything is organised, from hatching an idea, founding an office and project acquisition to working with clients, completing something you’ve conceived — that whole spectrum is changing, as are other links in the chain. If you keep clinging to one of those links while the chain acquires a totally different form, you need to be careful. Or you have to be extremely good at what you do. Otherwise you won’t survive. I’m now involved in discussions about what Design Society can mean for this new tendency, and it’s not about that old story that is disappearing. Here in Shenzhen, things haven’t yet crystallized like they have in Shanghai and Beijing. There’s a greater degree of manoeuvrability here that’s now advantageous, a mental agility. And in the urban structure there’s also a certain manoeuvrability, like here in Shekou where whole port emplacements are relocated. 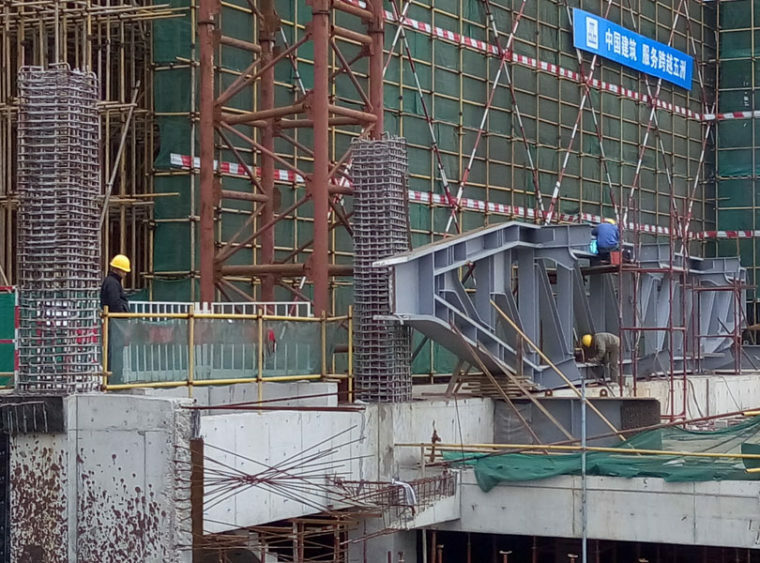 Urban transformations of such a large scale occur in other Chinese cities too. That’s not unique. My starting point was, and still is, that if you start with the assignment, there will always be extremely relevant work. There’s a lot of experimentation going on here in the field of robotics, also involving architects. It concerns the spatial dimension of robotics in relation to human behaviour. You can design that in all sorts of ways. Robots at work is a subject of discussion, but ideas about the space between robotics and people have not been the subject of design, even though there’s a great demand in that area. We cannot wait until robots take over. We’re missing opportunities. There’s a lack of design initiative, not only here but also in Europe. Is another form of city development and building, with other types of commissions, greater consideration of the human scale and adaptability, not a more pressing concern? We are indeed facing important new spatial challenges, and we have to come up with better solutions in trying times. In Europe you see a reduction in scale, but there’s been hardly any change in approach. Ambition does not extend much beyond the idea that we have to continue. But we need to find new paradigms. Architecture is about much more than just being able to continue. The profession is a vehicle for fundamental investigation into how we can and should move forward, into surprises, and shaping them. If we reduce architecture to just building, we will get stuck and leave ourselves at the mercy of all the complications and inertia that go with construction. We become dependent on building techniques that we didn’t devise. Architecture has allowed itself to be pulled along by engineering. Architecture was once about perception. That went out the window at a certain moment, because people thought it wasn’t the essence. So we ended up with building engineering. But architecture is about the influence of what is built, the cultural effect and performance. The design of effects on the human spirit and relationships between people: that should be our core concern again. In my opinion, the future of architecture lies in our seeing it as an art, more in the metaphorical sense and in its manoeuvrability. Harry den Hartog is a researcher and urban designer. He lives and works in Shanghai.